10 ideas from 5 countries reached to semi-finals of the pan-European Creative Business Cup e-Governance Solution contest. The semi-finals will be held in Tallinn, on October 5th at the e-Governance Academy, and the finals on October 6th at the ministerial e-governance conference held with the framework of the Estonian Presidency of the European Union. The E-Governance Solutions contest received a total of 23 applications from 7 countries, 13 of them matched to the conditions of the competition. “The level of presented work was different – there were both ideas, prototypes and solutions that are already working – therefore the work of the jury was particularly difficult,” commented on the competition Eva Leemet, CEO of Creative Estonia. According to Janek Rozov, the jury member of the competition, the eGovernance Solutions competition is a very welcome initiative, as start-ups for e-governance will accelerate development process based on the practice of start-ups and bring in service design to provide customers with simple and understandable solutions. The ideas were evaluated by a four-member jury, consisting of Janek Rozov (Ministry of Economic Affairs and Communications), Andres Kütt (public service visionary), Mari-Liis Lind (service designer) and Hille Hinsberg (Praxis expert – Governance and Civil Society Programme). Creativescapes (Denmark) – creativesapce.co is an online community marketplace where artist lovers / arists can list their spaces, discover and apply to artist residencies around the world. The platform matches artists with artist residencies or individual creative spaces, and facilitates the application process by making it easy and accessible. 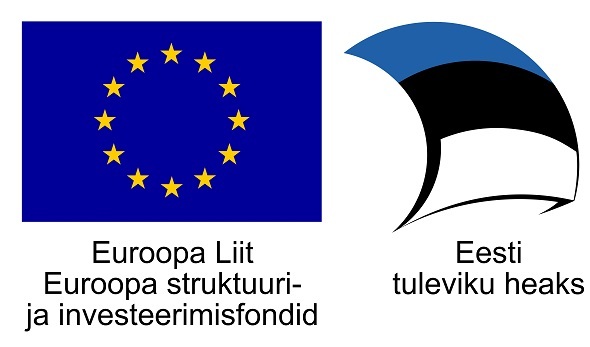 E-Europe (Estonia) – E-Europe is many things at the same time! It is traditional logistic company but also innovative tech platform. Imagine you can run your international freight forwarder, customs warehouses and fulfilment warehouses, customs agents, EU local logistic providers, business management, sales funnel, government relations and same time get access to entire EU single market – This is E-Europe! But when before you needed to have physical business established in Europe with teams and offices then E-Europe can offer fully online manageable solution. No more you needs high management cost but you can let E-Europe team and European collaboration partners to do the hard work and you can be on beach, HQ, office, home or in University. Simply use E-Europe to track development and run it from laptop. Tsekk.ee (Estonia) – Tšekk.ee enables companies, both small and large, to streamline their expense reporting processes. For employees, Tšekk.ee provides an easy-to-use mobile app to digitize expense documents. For accounting professionals, Tšekk.ee provides an semi-automated expense report creation solution integrated with many accounting software platforms. Tsekk.ee help companies save up to 70% of time spent on processing expense documents and data. Mamas Heaven (Estonia) – We will launch modular nursing/lactation rooms (3-4m2) on public spaces for every mother in need to use. Modular rooms are designed to provide nursing mothers appropriate space to pump, breastfeed or change baby diapers in privacy when at work or otherwise away from home. Prefabricated unit for indoor use is less disruptive than renovation/construction, keeping valuable real estate available for other purposes. Locator app helps moms to find Mamas Heaven units, opens the Bluetooth enabled SmartLock, and provides valuable usage data. Also lets mothers to pinpoint the necessity for new units. Our goal is to raise the awareness and statistics of breastfeeding mothers as a natural human function, and celebrate the realities of the logistics involved in taking on breastfeeding for the many, many mothers who need to be away from their babies. There are three main reasons that justify the need for an appropriate location for breastfeeding, namely maintaining milk production; providing relief from the discomfort of leaking breasts during the time mothers are at work or away from home; and the correct storage of breast milk to feed the worker’s child or for donation to a human milk bank. We believe that all mothers deserve a secure, clean, and comfortable place to use a breast pump, breastfeed or change diapers—anywhere, anytime. PublicJob.ro (Romania) – A collaborative platform aimed at generating real evaluation of public services (central as well as local government) by the citizens (perceived as the main beneficiaries of government). The principal idea is to use citizen-provided feedback in order to improve and upgrade the overall quality of government, by nurturing a culture of transparency and accountability within the public sector. Citizens can rate their experience in interacting with government using three major KPIs: efficiency, professionalism and integrity. Efficiency refers to the successful completion by public agencies of their specific tasks in regard to citizens, as well as their general missions. Professionalism refers to appropriate professional competence and pro-active attitude from the representatives of the institution; while integrity refers to the moral features promoting transparency and fight against corruption. Public agencies can in turn use the input provided by citizens to either improve their current procedures and mechanisms or even innovate in creating new approaches to traditional bureaucratic issues. A beta version of the platform focusing on Romanian public agencies is currently online. It uses public data on more than 14.000 central and local authorities, as well as Romania’s diplomatic embassies, consulates and missions abroad. Statlab (Estonia) – We are a group comprised of University of Tartu researchers and Estonian Tax and Customs Board specialists and are building a data analytics prototype that takes monthly VAT and social tax declarations on all Estonian companies and uses machine learning to produce future predictions of up to 12 months in advance on company turnover, number of employees, company health metrics (export probability, profitability, investments etc) and various other outputs, both at the level of single companies and aggregated to any other level that is necessary for decision-makers and economic policy planners. The prototype will reduce the need to rely on official statistics by Statistics Estonia which tends to become available with a significant time lag. We aim to speed up the policy cycle by transforming, modeling and feeding back data as it is generated by companies, so that policy and budget planners get faster and better information of what is going in the economy. Our dream is, however, to go beyond the public sector consumers to use the same data that companies have to provide to the Tax and Customs Board anyway to prefill the Annual Reports that companies need to submit to the business register. This would significantly reduce the administrative burden on company accountants and would free up company resources for more productive purposes. A prefilled annual submitted by one click by a tax paying company is the next logical step in country where individuals already declare 99% of their taxes online through prefilled declarations. Any minute spent on re-submitting data that is already somewhere collected is a big waste in prescious time. We hope to change that. PSII (Personal Sensitive Identifiable Information, Estonia) – PSII is building AI based Personal Sensitive Identifiable Information search engine for Governments to ensure the compliance for the new data protection regulation. Goverments are obliged to ensure the citizens private data is protected. PSII enables governments efficiently research for private data leakages. InFunds.EU (Estonia- Luxembourg) – Providing individuals in South East Asia who want to invest in the EU states a method of an investment vehicle via the e-residency programme. Our clients will have to gain an e-residency which we could help facilitate before using our services. We will give our clients an option to either place their funds in an investment vehicle or a fixed deposit in a European bank. Besides South East Asia, we are also looking into individuals from the UK who want a guarantee of EU access post Brexit. Some move (Czech- Estonia) – Some move was founded to make public transportation more friendly and usable for everyone. Our activities cover three key areas: service design and consulting, tools for travel planning, and technological innovation for a more connected transportation world. Our Estonian branch was established to focus on the technological domain, starting with Transit Alerts, the first component of our larger vision for a truly seamless and interconnected transportation environment. We are currently developing and testing the initial production version of Transit Alerts as a cloud-based solution for rail and bus operators of all sizes. Infoaed (Estonia) – We offer software as a service open data portals to Estonian cities, municipalities and govt institutions tailored to their specific needs and challenges so they can start fulfilling the legal requirements of public information act from 2016 and at the same satisfy the demand for data by actual users from civil society, universities and startup community. According to municipal reform from October 2017 current 215 cities and municipalities will be reduced to 79 and after uniting their information systems they have legal requirement to also create open data portals which they currently have no experience with. We offer them a way to satisfy legal requirements and create the portals in a way that is acceptable to most public and private interest groups. Creative Estonia, a Creative Culture Industries (CCI) info and developing centre is an official representative of Creative Business Cup in Estonia. Creative Business Cup (CBC) is a global entrepreneurship competition held in Denmark and involving best ideas from over 60 countries. The competitions aim is to throw attention to the importance of the creative industries and its role in innovations. Creative Business Solutions eGovernance competition is organised by Creative Estonia, e-Governance Academy, Nordic Council of Ministers´ Office in Estonia, Estonian Ministry of Economic Affairs and Communications, supported by Estonian Ministry of Culture and Entreprise Estonia (EAS) and funded from European Regional Development Fund (ERDF).